How big is the threat to the EU from foreign fighters? The shooting at the Jewish Museum in Brussels on the 24th of May this year came as a shock to most Europeans. When Mehdi Nemmouche was arrested in France a week later, questions were raised about how the European security services are dealing with returning Syrian fighters. If the police knew Nemmouche had been to Syria, then why was he not under their constant surveillance? Some newspapers reported this could be the first of many attacks in the EU, carried out by returning foreign fighters. Even EU Counter-Terrorism Coordinator Gilles de Kerchove stated that governments should fear similar attacks throughout Europe. 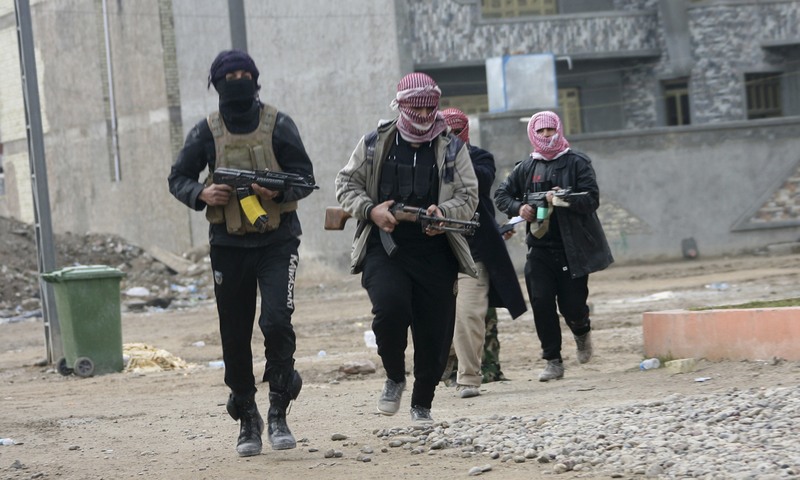 Over 2,000 Europeans have gone to Syria to fight with Islamic extremist groups. Those who come back may possibly be planning an attack, although no one seems to be in a position to say so with certainty. In reality, not all of those who return will become ‘Nemmouches’. In fact, some will return with post-traumatic stress disorder and will be in urgent need of psychological assistance. Others might return with a sense of having fulfilled their Islamic duty and may just resume their normal lives here in Europe. But there will also be people returning from Syria to bring the fight to Europe. Already British born foreign fighters have promised they will carry out attacks in Britain after they leave Syria. On Twitter, the 19-year-old Muhammad Hassan from Portsmouth warns that if the US does not cease threats over drone strikes on ISIS, America will have another 9/11 coming its way. So why does Europe not stop people from going to Syria or prevent returnees from re-entering Europe? The first problem, according to Gilles de Kerchove, lies with the definition of ‘foreign fighters’. ‘We don’t have any comparable systems in Europe. Is a foreign fighter someone who already left or someone who is planning on leaving?’ This makes it difficult for police and it becomes a hindrance when they cooperate on these issues. The definition of a foreign fighter should be unified on a European level so all Member States will be able to discuss the same phenomenon when addressing the threat of foreign fighters. If this were the case, the measures taken to combat extremism and recruitment to terrorism could be streamlined amongst the Member States. A different problem is related to the burden of surveillance. It is impossible to follow all the returned foreign fighters 24/7. It is even less plausible that the relevant authorities can also follow all of the people potentially going to Syria. Even if the authorities want to, they do not have the resources to do so. This inevitably means that some will slip through the net and are able to plan and potentially carry out terrorist attacks in Europe. What makes the surveillance even more complicated and problematic is the free movement of people in the Schengen area. Some of these fighters carry dual citizenship with a non-EU country, they travel on their second passport to go to Syria and re-enter the EU on their European passport, making it harder for the authorities to trace them. As Gilles de Kerchove explains, ‘they have valid travel documents, and websites tell them how to best avoid controls, through buying last minute tickets for instance.’ He goes on to say, ‘the security apparatus exists. There are no major gaps. It comes down to fine-tuning the apparatus. Within the EU we are constantly developing extra measures to do just this.’ But for the moment, the very nature of Europe’s freedom of movement means it is more vulnerable to foreign fighters avoiding law enforcement authorities and travelling freely within the Schengen area. Now that the Passenger Name Record system has been stopped by the European Parliament, there are no means by which law enforcement authorities are able to use passenger details for investigations. Concerns over the privacy of European citizens were the main reason the European Parliament did not accept the PNR system. However, this system could have been of great assistance in tracing and isolating passengers suspected of travelling to Syria. De Kerchove believes the PNR-system does not invade any privacy as the information that is used is information already freely given to the airline company, such as name, address, phone number, payment methods etcetera. In fact, ‘the PNR system reduces the amount of controls based on ethnicity’, he says. But now that a European PNR system has been laid to rest, the authorities will have to find new ways to share information on individuals. Similarly, when foreign fighters return to Europe, there can only be charges pressed against them if there is concrete evidence. However, if there is only proof of that person having connections with ISIS (The Islamic State of Iraq and the Levant) it is impossible to prosecute. Gathering and sharing evidence at the EU level is therefore paramount. Many EU countries already exchange information on suspected foreign fighters; nevertheless, the gathering of information is a very tricky case. As there are no EU intelligence services on the ground in Syria, the only way to collect any information is through open sources or through espionage. Infiltration into these circles is not an easy task. Conversely, as most fighters are young recruits, they are part of the online generation. If a person posts a photo of him holding a kalasjnikov on his Facebook profile, then that can be used as evidence. The same goes for Youtube videos shot from a camera attached to a gun. The images can be utilized as evidence against anyone identifiable in the video. When there is irrefutable confirmation that a person is engaging in such activities, the relevant authorities will put this individual on a list. But as in the case of Mehdi Nemmouche – who was listed as someone to keep under surveillance – the above-mentioned measure presents obvious vulnerabilities. Preventing European citizens from going to Syria therefore remains a big focus of the European Member States. The Justice and Home Affairs Council at the Council of the Europe adopted the revised EU Strategy for Combatting Radicalisation and Terrorism in the aftermath of the attacks in the Jewish museum in Brussels. Here the foreign ministers from the EU Member States restated the importance of combatting radicalisation in Europe, in particular emphasizing the need to work with third countries to stop the recruitment into terrorist activities. As many Europeans are being recruited to travel to third countries and fight with terrorist groups, the EU Member States need to enhance their collaboration with such countries to preemptively address the possibility of recruitment to terrorism. The relative success of European security services and law enforcement agencies in dealing with this issue is hard to measure. The general public rarely hears of attacks that were avoided. People only here about the successful attacks. This could possibly leads to a skewed interpretation of the situation and even mass hysteria and exaggerations. It is certainly true that there are some remaining gaps in the European law enforcement cooperation when dealing with foreign fighters. But as noted above, it is also true that in most cases the relevant authorities are aware of the identities of the foreign fighters. More can be done to deter foreign fighters from travelling to conflict-ridden countries with terrorist recruiting hubs such as Syria. Governments should focus their resources on preventing the recruitment to terrorism. At the same time with foreign fighters now returning to Europe, efforts should be made to re-integrate them into society. If the EU’s efforts towards both the prevention of recruitment to terrorism and post-return reintegration are enhanced, then the threat from foreign fighters for the security of Europe could be considerably reduced. But for this to happen, we need the willingness of national Governments to make a change at the European level. “EU moet bevreesd zijn voor gelijkaardige aanslagen”, De Standaard, 02.06.2014, http://www.standaard.be/cnt/dmf20140602_01126993. “Black flag of jihad will fly over London: Alarm over UK-born Iraq fighters’ threat”, Published 16.06.2014, http://rt.com/news/166128-isis-jihadists-threaten-britain/. “Geradicaliseerde Europeanen vormen reservoir voor Al-Qaeda”, De Standaard, 7.06.2014, p. 32-33. This entry was posted on 23/06/2014 by ISIS Europe in Opinions and tagged Council of the Europe, EU Strategy for Combatting Radicalisation and Terrorism, Foreign Fighters, Freedom of Movement, Intelligence Services, ISIS, Justice and Home Affairs Council, law enforcement, PNR System, Privacy, Radicalization, Recruitment, Surveillance, Syria, terrorism.